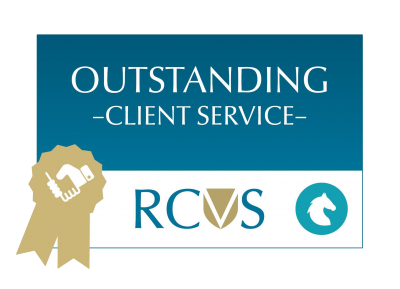 In addition to our major departments we offer a collection of other services to fully support the veterinary needs of our clients. For our out of hours emergency service between 5.30pm and 8.45am weekdays and at weekends please call our main clinic daytime telephone number (01908 560789) where a recorded message will give you the direct mobile number for the emergency vet. A discussion with the vet can then be made to decide if a visit is required. We will then be with you as soon as possible. Vaccinations are administered to horses to help boost their immune system. Administering vaccines will protect individual horses from disease and reduce the risk of spread through a herd. The most common vaccines available are for the diseases: Equine Influenza, Tetanus, Equine Herpes, and Strangles. This is a disease caused by a bacterium (Clostridium tetani) which is found most commonly in the soil. It enters the body through wounds such as skin damage or hoof penetrations. The disease causes a multitude of symptoms including muscular spasms, twitching and potentially death. It is for this reason we strongly advise all horses to be vaccinated for Tetanus. This is an infectious disease spread from one horse to another. Symptoms include snotty noses, lethargy and fever, and very rarely death. It is not common in the UK but outbreaks do occur and, due to the infectious nature of the disease, can have serious consequences in both herd health and yard closure. Many competition authorities require horses to be vaccinated for Equine Influenza. A summary of the starting and annual vaccination requirements for the majority of the competing authorities is outlined below. Starting course of 3 primary vaccinations. NB: Horses competing under FEI rules must follow the same guidelines outlined above but must also have had a flu vaccination within the previous 6 months of a competition. We offer a personalised reminder service for all vaccinations (by email or telephone) to help avoid going over time. However, please note this is simply a reminder and it is the client’s responsibility to keep vaccinations up to date. This is a viral condition that primarily affects the reproductive and respiratory systems. In mares it can cause abortions and so vaccinations should be given during pregnancy (on 3 occasions). In all horse but particularly youngsters in contact with other horses, it can cause snotty noses, lethargy and poor performance. After an initial primary course, the vaccinations must be administered every 6 months. The old adage “prevention is better than cure” is equally true in veterinary medicine. It is for this reason we have formulated some packages that allow horses at particular risk of disease to be thoroughly assessed and laboratory tests performed in a cost effective manner. The packages currently available are listed below. Keep an eye on the Offers page to see when other offer prices apply. 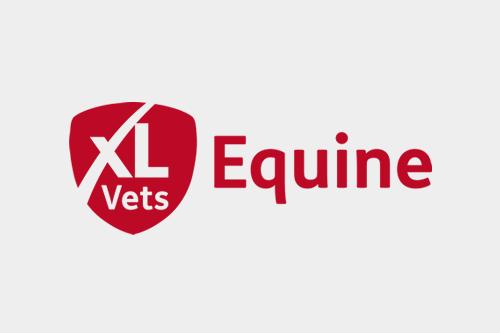 Veteran (15+) MOT: Includes a full clinical examination (heart, eyes and lungs), soundness examination including shoeing/hoof balance, faecal egg count, routine blood tests and a dental check (excluding corrective work). Usual price: £120, Offer price £99. 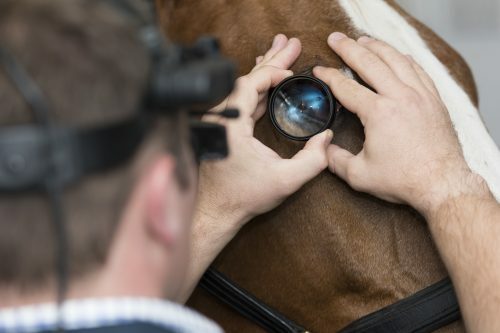 Pre-competition check: Includes a full clinical examination (hearts, eyes and lungs), soundness examination, back check, routine blood tests and a dental check (excluding corrective work). Usual price: £110, Offer price: £89. Performance check including x-rays: Includes clinical examination to assess fitness and performance suitability (heart, eyes, lungs), soundness examination, back check, routine blood tests, and dental check (excluding corrective work), set-up x-ray fee (additional costs for joints imaged below), first dose of sedation. NB: This package can only be performed at BEV’s Clinic. Usual price: £250, Offer price: £189. Please contact the clinic to book the consultation or to seek further information. During the months April, July and October the levels of adult worms should be monitored using worm egg counting (WEC). Samples of dung should be delivered to our clinic in the morning. A veterinary surgeon will then report the worm levels of your horse within 24 hours and give appropriate worming advice. At some point during the winter period (November to February) we advise using a wormer that treats both adult and juvenile roundworms and also tapeworms administered to all horses, even if their recent worm counts have been low. This is because juvenile worms cannot be monitored using worm egg counting but their emergence in the Spring can have serious deleterious effects on the health of a horse (e.g. colic, diarrhoea). The wormer we recommend is Pramox Equest. Immediately after birth foals are at greatest risk of receiving worm from their mothers. Mare should therefore be wormed towards the end of pregnancy (see below). Foals should not be wormed until 6 weeks of age. We then advise giving the foal a wormer containing fenbendazole (Panacur) or ivermectin. Worming should be maintained regularly throughout the year alternating annually between ivermectin, moxidectin and pyrantel. Young horses are most at risk from high worm levels so should be treated regularly. We recommend lactating mares should not be wormed until at least 2 weeks after giving birth. We then advise giving a moxidectin or ivermectin based wormers repeatedly while the foal is at foot. The timing of this wormer depends on which wormer was last given during the pregnancy, i.e. 13 weeks after last moxidectin wormer, 8 weeks after last ivermectin wormer. It is important to maintain a worm free status in the pregnant mare as she can pass on worm larvae to the foal soon after birth. We therefore recommend monitoring worm egg levels (WEC) as for adults horses (above) and giving a moxidectin or ivermectin wormer within the last month of pregnancy. Castration or gelding of male horses involves the removal of both testicles in order to control their temperament and behaviour. The most suitable age for the castration of youngsters is between 6 months to 2 years of age. Before this age the testicles will be very small and difficult to access. After this age the blood vessels to the testicles are enlarged and the risk of bleeding following the procedure is increased. The procedure should ideally be carried out in the Spring or Autumn when fly numbers are lowest to reduce risk of infection. However, we are happy to perform castrations at any time of year if required. Routinely the procedure is performed with the horse standing and heavily sedated. The testicles are injected with local anaesthetic and a skin wound made in the scrotum below each testicle. The testicles are then exteriorised and the blood vessels to them crushed and cut (“emasculated”). The scrotal skin wounds are left open to allow drainage of fluid and prevent excessive swelling. For this reason dripping of some fluid from the wounds after castration is a good thing, but a constant stream of blood is not and veterinary advice should be sought immediately. To prevent infection we routinely administer antibiotics. If the tetanus vaccination history is unknown or lacking we will also need to address this with tetanus antitoxin at the time of castration. A few hours after the castration is performed the horse should be turned out into a paddock. This will encourage drainage from the surgical site. Over the next few days a close eye should be kept to the surgical area. It is normal for the area to become swollen after a couple of days but this should have settled by a week after surgery. Should a lot of blood be coming from the wound, foul smelling yellow pus accumulating, or ti3ssue be poking from the wound, then veterinary advice should be sought. To worm or not to worm, that is the question. There is much conflicting advice in the equine world on when and how to worm horses. To make it simple for our clients we have put together the following worming advice. The information below has been produced after consulting the most recent scientific literature. Please read the advice below and if you have any questions on worming your horse please ring the clinic to speak to one of our vet team so we can help. To take advantage of this advice fully, why not sign up for our ‘Worming Offer’ that provides the complete worming package at a fraction of the cost of regular worming protocols. Please call the clinic to sign up today (01908 560789). In order to indicate that a horse or pony is above or below a certain height, it is often necessary to obtain an official height measurement issued by the Joint Measurement Board (JMB). This is achieved by visiting a veterinary surgeon registered to perform the height measurement. 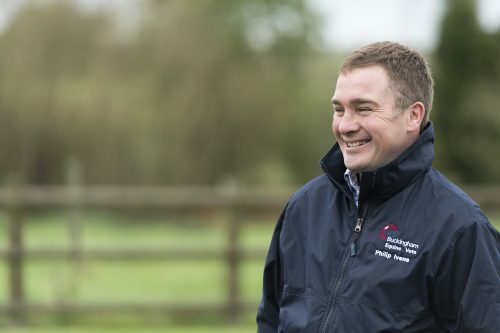 At BEV, Andrew Wallace is a vet registered with the JMB to perform the measurement procedure at the Buckingham clinic. He will give every opportunity for ponies/horses to achieve the desired height by ensuring the measurement is undertaken in a quite environment where animals are able to relax. In the unfortunate circumstance that a horse becomes acutely ill it may be necessary to continue therapy in a more controlled environment that is available at a yard. In this circumstance we may advise moving the horse to our clinic in Wicken. The new clinic has been purpose-built to provide modern facilities to cater for the needs of equine patients with stabling, stocks, fluid therapy and new diagnostic equipment. 24 hour care is provided with highly trained vet (a European Specialist in Equine Internal Medicine) living on-site. Furthermore CCTV is placed in each stable to closely monitor patients even when they are left alone. In order to correct certain abnormalities it is sometimes necessary to undergo surgery. 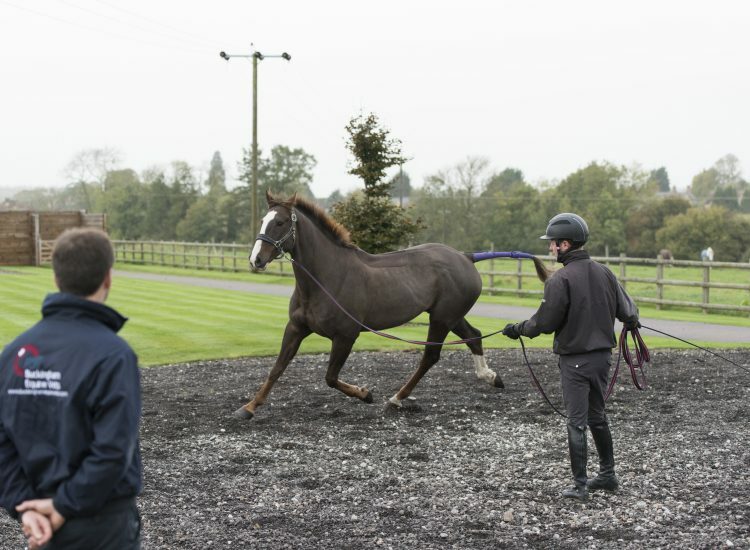 Recent evidence has highlighted the benefits of performing many procedures with the horse remaining standing rather than being placed under general anaesthetic (GA). At BEV, whenever suitable, we will perform surgery standing rather than surgery under GA. Furthermore, to ensure the highest possible successful outcome, we may seek the assistance of a visiting surgeon to perform the surgery.  In the same way in human medicine you wouldn’t expect your GP to perform heart surgery on you, we draw in the expertise of vets specifically training and qualified to undertake complex equine surgical procedures. This ensures the highest possible surgical standards yet by being located at our clinic, reduces transport time and inconvenience to the client. Laboratory procedures are an important aspect of veterinary medicine. For this reason we have recently invested in new laboratory equipment to provide us with extensive laboratory support. Haematology blood analysis - Information on the bloods cells (red & white). Useful in assessing evidence of infections, anaemia (low red cells), and hydration. Biochemistry blood analysis - Information on the biochemical elements of the blood, including indications of kidney function, liver function, muscle damage, electrolyte imbalance. Acute phase protein analysis, including Fibrinogen and Serum Amyloid A (SAA)- Sensitive indicators to the presence of inflammation and infections. These are extremely useful in equine practice. Worm eggs counts - used to give an estimate of the worm eggs present in a faecal (dung) sample, and thereby estimating the level of roundworms within the horse. Please provide a small sample of dung (approximately one dung ball). Sample pots are available from the clinic if required. The results will be interpreted by a vet, and one of them will ring you with advice on the worming drugs most suitable to your horse. You may obtain Prescription Only Medicines Veterinary, (POM-Vs) from your veterinary surgeon or ask for a prescription and obtain these medicines from another veterinary surgeon or a pharmacy.  A veterinary surgeon may prescribe POM-Vs only for animals under their care. A prescription may not be appropriate if your animal is an in-patient or immediate treatment is necessary. You will be informed, on request, of the price of any medicine that may be dispensed for your animal. The general policy of this practice is to re-assess an animal requiring repeat prescriptions every 6 months, but this may vary with individual circumstances. The standard charge for a re-examination is £37.52 plus visit charge.